Fans of the AMC show Into the Badlands wall say goodbye following it’s third season finale. The show, which is on hiatus during it’s third season, will return on March 24th with fans now preparing to say goodbye. AMC made the announcement at the Television Critics Association, aka the TCA. The show will end with the 32nd episode of the series. Ironically, Preacher, which has struggled ratings wise, will more than likely see a fourth season. 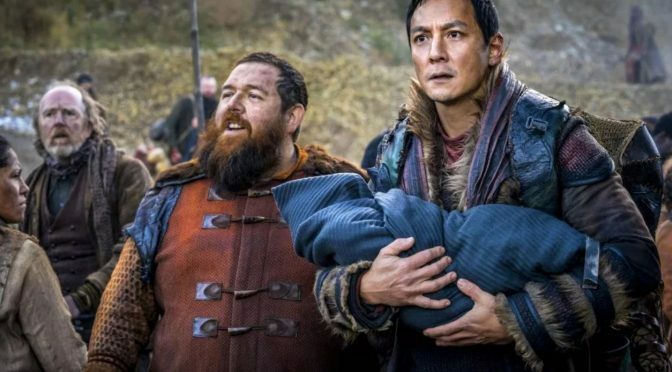 Into the Badlands is a combination western/dystopian future/martial arts thriller that has been embraced heavily by a small, yet passionate fanbase. No word on if the show will be shopped around in an attempt to revive it on another outlet. Seattle, Washington was set to host numerous events tonight; from pro wrestling, to festivities around the city, sports and even Supernatural’s convention. Creation Entertainment, who run The Supernatural Convention, dubbed the Supernatural Seattle Convention was forced to cancel the event due to the weather in the area. Conversely, Defy Wrestling has stated they will go ahead with their wrestling show tonight, despite the city issuing a State of Emergency for the areas affected. The weather is anywhere from 4-8 inches which isn’t too bad if you’re in Minnesota or Ohio, but when the state of Washington isn’t used to so much snow, it becomes troublesome. The city isn’t equipped with the same winter-weather facilities and vehicles needed to properly clean and ice raids. Thus the issue. Quick Hits – A reporter by the name of Emily Rogers is reporting that Nintendo has 12 unannounced games in development for the Nintendo Switch, all with a possible eye for release this year. Apex Legends developer Respawn Entertainment’s Mackey McCandlish claims they want the game to last at least ten years. Donny Cates of Venom fame is open to the idea of rebooting the Marvel Ultimate Universe line of books, which was more geared to adult readers.